There is nothing I love more than writing and sharing goodness with my wonderful blog audience. But then again, there's nothing I love more than a good fun mind-clearing run in perfect shoes. That's why this post makes me so happy. 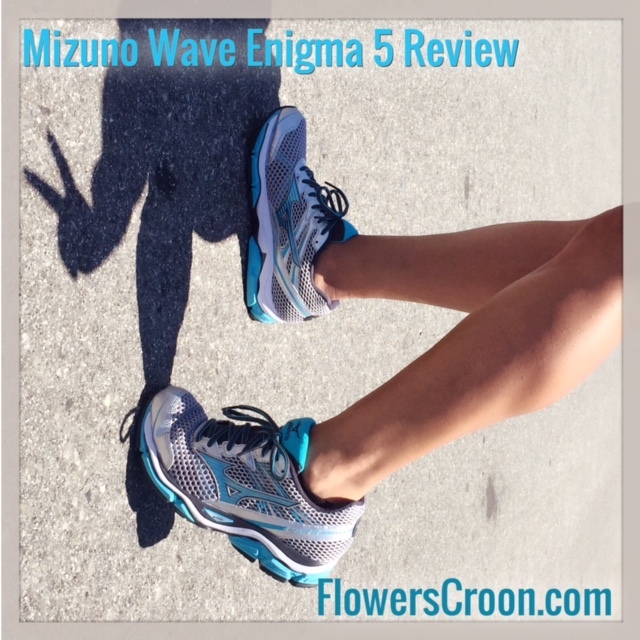 I was able to be one of the first to test the Mizuno Wave Enigma 5 and I love them. I wear them to run, I wear them to work, I wear them everywhere because I don't want to take them off! This is a sponsored conversation written by me on behalf of Mizuno, but I promise you, the opinions and text are all mine. I've taken these shoes out on several runs - short and long. The result has been fantastic every time. As a neutral shoe wearer, it's really hard to find the perfect shoe to balance my need for comfort and speed. These shoes fit the bill 100%. I ordered them half a size larger than usual (heels and lifestyle shoes) to fit me perfectly. The laces are great in terms of not coming undone and the tongue is never a problem. They are light weight and incredibly plush and comfortable. U4ic midsole cushioning and a premium sock liner provide a floating, cloud-like underfoot feel. I absolutely recommend these shoes for any neutral runner or walker and anyone looking for a comfortable shoe to take them through their busy day at work. I wore them for a full day of passport processing on my feet and left the office with a smile on my face! Check out the shoes at Mizuno's website for more info.